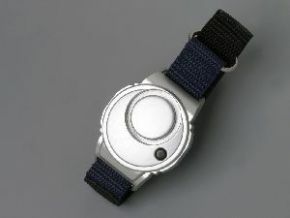 Wrist Worn Panic Alarm Is Designed For Any Age. This wrist worn panic alarm is designed for any age. Press top button on the tough plastic housing to activate a loud 130dB alarm to alert a carer or someone in the vicinity. Press the underside button to reset the alarm. Supplied with a one size wrist strap with Velcro fasteners. Convenient, unobtrusive for all older users and popular with visually impaired users. Batteries included and fitted.